Marketers find surveys useful in terms of getting customers to volunteer their information and preferences. Retailers use them to extract useful data while learning what people like and dislike about particular services or products. However, if surveys are created poorly, take too long to complete, or interfere with other online activity, they will never be finished. Consequently, online surveys only get a 10% response rate, whereas an immediate, on-the-go method like text surveys can typically garner up to a 50% response rate. Some surveys focus only on certain types of households, incomes, age or demographic groups, which gives inconsistent responses based on the delivery method. Pretty much everyone has a phone, so sending an SMS survey will actually reach your target audience. At an internal level, companies can find numerous benefits from offering text surveys to their staff. Organizations can learn all sorts of useful information by utilizing a research method like a survey on your mobile phone - a tool that pretty much everyone is comfortable with these days and often has within arm’s reach. Implementing an SMS service for your company’s surveys makes getting employee feedback quick and easy. Simply set up the survey, send it to your employees, then sit back and relax as results are automatically tracked and recorded. This means you no longer have to rely on tallying up responses or manually collecting paper ballots. No demographic screening is required either, as your pool of eligible candidates consists of your existing employee database. With an advanced texting software that has response-based automation like Trumpia, employees will automatically get a response to their answers, guiding them swiftly through the survey. If an employee answers “No” to the question “Did you like our last meeting?”, then the system will automatically ask, “What didn’t you like?” Not only will you get even better actionable results, but employees will save time by answering at their own leisure from anywhere. Anonymous Employee Surveys: Visualize the old suggestion box, but updated for the digital age. Companies can invite their staff to share their ideas on how conditions can be improved, new products to try, ways to cut costs, and other feedback. Submissions are kept anonymous, so the feedback is guaranteed to be useful and genuine. By setting up different mobile keywords or numbers to text, companies can effectively track results based on specific departments. Once everyone completes the survey, results can be sent anonymously to maintain the confidentiality of your employees while keeping them informed. Employee Recognition: Acknowledging fellow co-workers on a job well done will boost morale and drive productivity. Team members can submit names via text of peers they noticed doing something noteworthy. Using texting for employee recognition is a great way to promote your “Employee of the Month” program and determine the most deserving winner. All responses are collected, analyzed, and can be broadcasted to keep people motivated to win! Event Preparation and Reminders: Registration and reminders for work-related events can be efficiently managed by exchanging text messages. With a 750% higher response rate than email, sending text surveys will maximize your event attendance. By asking employees for their availability, you can quickly determine the optimal day to schedule your work event. Getting an accurate headcount of how many employees will attend helps avoid wasting your budget on too much food or facilities. Once an employee confirms attendance, you can schedule a reminder to be sent prior to the event to ensure everyone shows up. Give Your Employees A Voice: To create the most enticing event possible, send a text survey of possible event choices and allow employees to vote on their favorite. Should the company retreat be held at a downtown hotel or a ranch in the country? Do you want burgers, chicken, or tacos? Each choice can be sent via text, which makes it easy for the event planner to track results and prepare effectively, even for large events. An immediate way to collect votes is also useful during meetings, where real-time answers can be displayed anonymously. Decisions such as which logo to use or what sales pitch they like most can be quickly and discretely voted on. Employees will not be influenced by seeing their colleagues’ answers, so you will get the most honest contributions during your meetings. Job Postings: Current employees may be interested in learning about openings in other departments or branches, especially in larger companies with multiple locations. An active human resources department can provide opportunities for employees to find new roles by opting-in to receive regular text updates of certain positions or locations within the company. Human resources can send a text survey to identify an employee’s interests, skills, and experience to better match openings. If an employee says they may be interested in sales, they will be added to your sales distribution list and receive updates of openings in the sales department. Rewards for Survey Participation: Employers can also leverage incentives to encourage participation – like conducting a drawing for prizes among everyone who completed the survey, or a fun company-wide promotion like a pizza party if there’s a high rate of participation. An auto-response text can be sent whenever an employee completes a survey giving them a unique code for a raffle or a special mobile coupon. Contacting employees through SMS and asking their opinion seems to be a sensible approach, since many prefer this type of communication, especially among millennials, as 75% prefer texts rather than phone calls. Asking employees to write down their ideas or call to provide suggestions for some of the above areas can be quite time-consuming, when compared to a purely text approach. 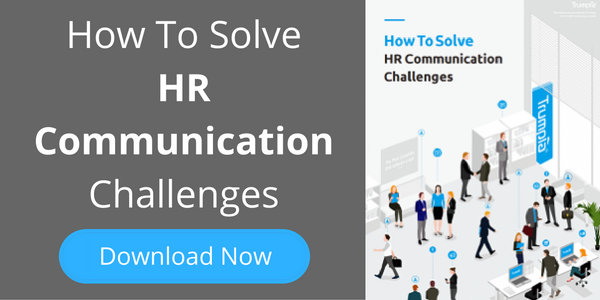 Improving your company culture is a simple SMS survey away. 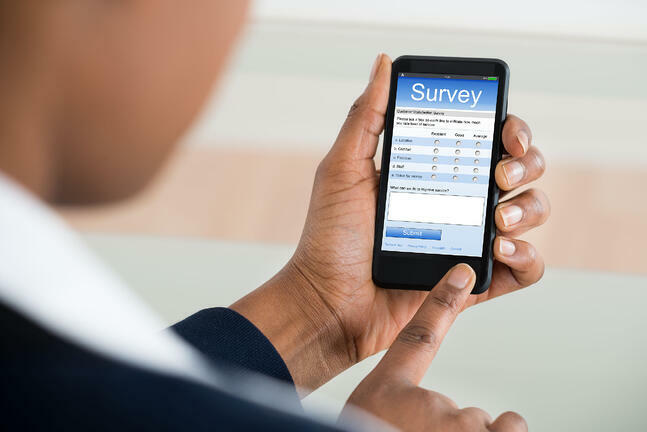 For more suggestions on using text and text-based surveys to benefit your organization, click here!